A truly unique expanded edition of one of the most iconic albums of all time. 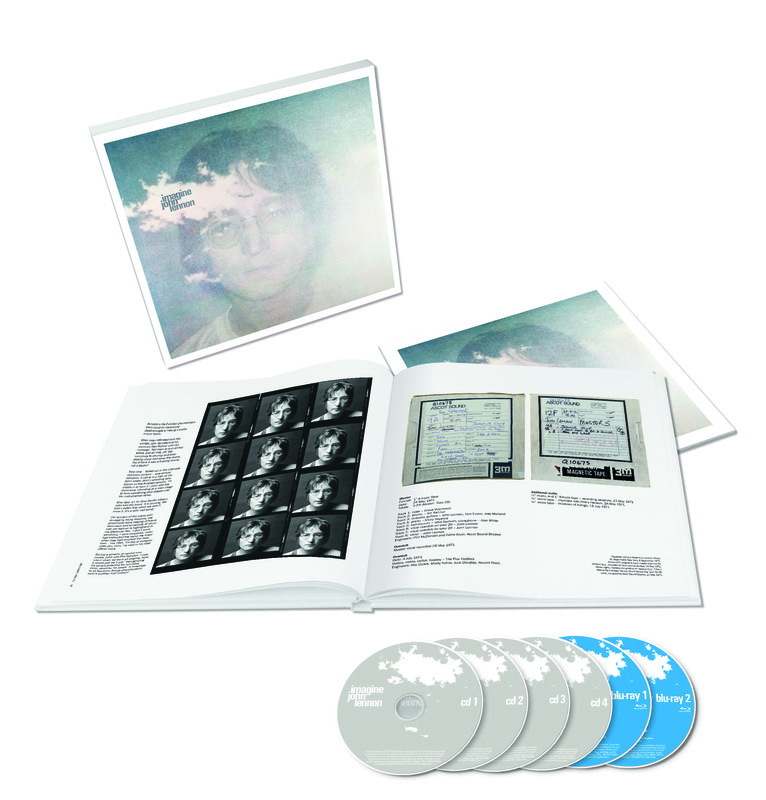 This new edition takes us on incredibly personal journey through the entire songwriting and recording process – from the very first writing and demo sessions at John’s home studio at Tittenhurst Park through to the final co-production with Phil Spector – providing a remarkable testament of the lives of John Lennon and Yoko Ono in their own words. Super Deluxe version includes 4 CDs (new stereo mix, outtakes, raw studio recordings, track-by-track) and 2 Blu-rays (5.1 surround mixes, HD audio, Elements mixes, Elliot Minz audio documentary).